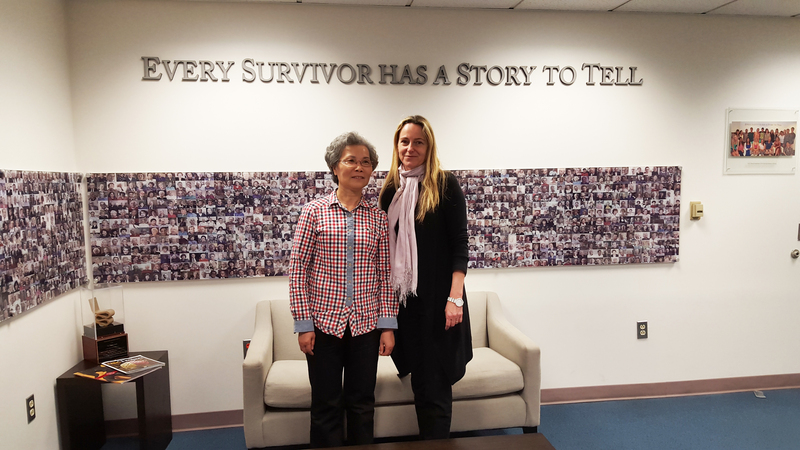 USC Shoah Foundation Director of Research and Documentation Karen Jungblut hosted a visit from several Nanjing Massacre scholars this week to introduce the work of the Institute and discuss future partnerships. 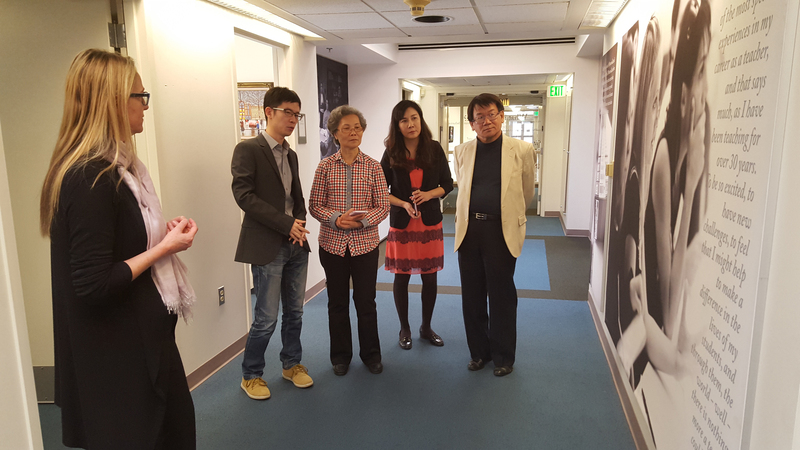 The visitors were Madam Xu Kangying, Deputy President of the Historical Institute of Nanjing Massacre Studies and Education Fund for World Peace and Human Rights and General Secretary of the Education Fund for World Peace and Human Rights, and Liu Xiang and Zhang Jiena from the Nanjing Massacre Memorial Society in the United States. USC students Gina Guo and Natalie Ngan also joined in the visit. 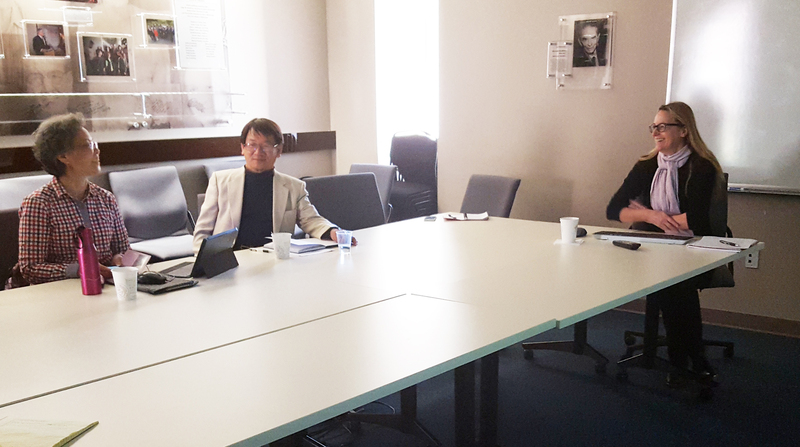 Both are working with Jungblut on the Institute’s Nanjing Massacre collection. 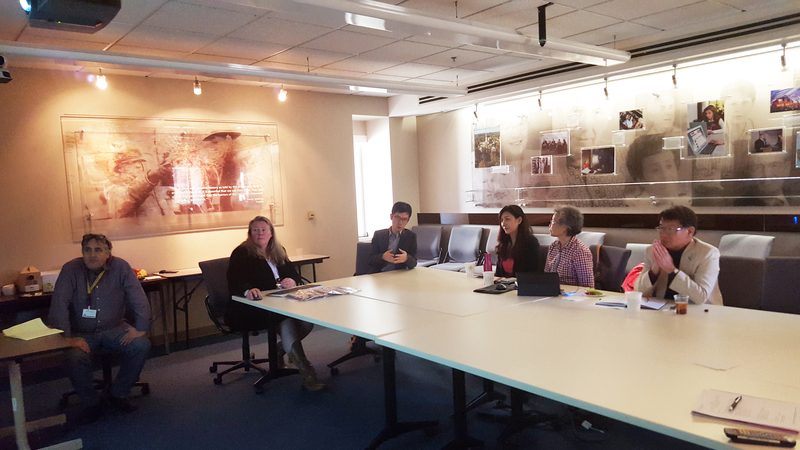 The group met with directors of various departments in order to learn more about the Visual History Archive and programs including IWitness. 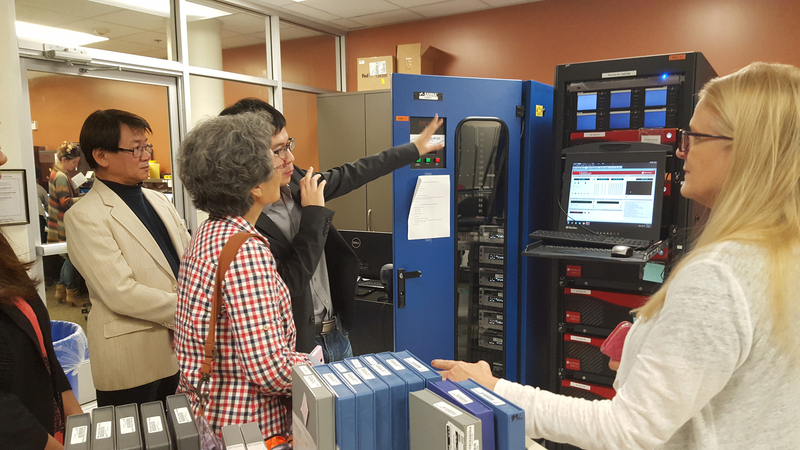 They also toured the Institute’s ITS facility at USC, which houses the full archive on computer servers, and learned about the preservation and integration process. Throughout the day, they discussed possibilities for future collaborations among their organizations. 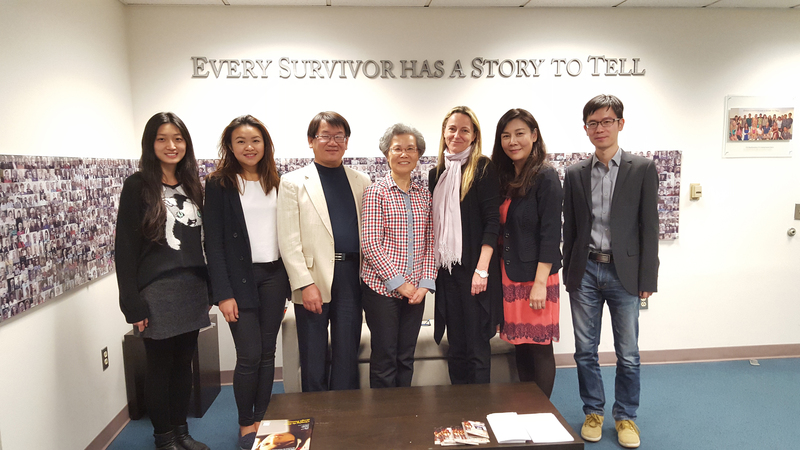 USC Shoah Foundation launched its Nanjing Massacre collection in 2014. So far it has recorded, integrated and indexed 30 Mandarin-language testimonies in the Visual History Archive.